After a drought that had many at Don Schumacher Racing scratching their heads, wondering what they had to do to win in Funny Car , it appears that the remedy was Ron Capps. Coinciding with the official start of summer, DSR picked the right time of year to begin a hot streak. It was Capps’ first win of the 2014 season. 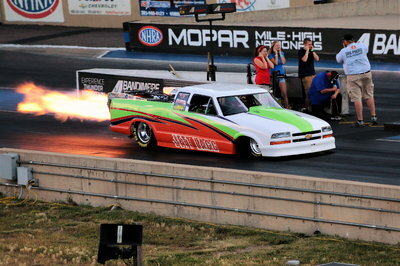 Capps qualified in the No. 10 position, but the experienced racer knew that a team could win from any of the 16 starting positions. Capps knew his NAPA Auto Parts Mopar was back in the hunt after laying down a 4.064-second run in the first round for a hole shot win over Tim Wilkerson. Capps chased down former champ, Cruz Pedregon and beat fan favorite Courtney Force to advance to his first final round showdown of the season to face rising star, Alexis DeJoria. He led the race from start to finish, earning his first Wally since the Brainerd national event in 2013. 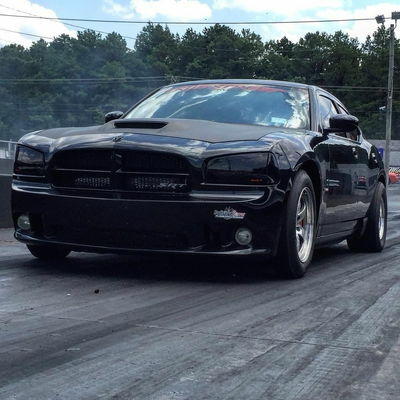 “This is a car that will go down the return road if we have to,” Capps said of his Dodge Charger, and his team’s ability to adapt to race track conditions, “It’s going to be a lot of fun the next few races. The last time two DSR teams doubled-up for the win was at Brainerd, Minn. last August when Capps and Spencer Massey collected the Wally trophies. Capps and Schumacher doubled-up at the Phoenix race in February 2013. It was the 39th double-up for DSR nitro teams and DSR now has 228 NHRA wins. Capps, who now ranks fourth in the NHRA Funny Car standings, still trails leader Robert Hight, Alexis DeJoria, and John Force in the points chase. Capps looks to keep the momentum going strong next weekend when the NHRA Mello Yello Series visit Route 66 Raceway in Joliet, Ill. Capps, who earned the pole at the Joliet race last July, has one win in three final rounds at the Chicagoland track. Tony “The Sarge” Schumacher scored his 74th career NHRA Mello Yello Drag Racing Series event title by laying down four powerful elimination round runs in his U.S. Army Top Fuel Dragster for Don Schumacher Racing, capped by a final-round victory in a holeshot over points-leader Doug Kalitta Sunday at the New England Nationals. 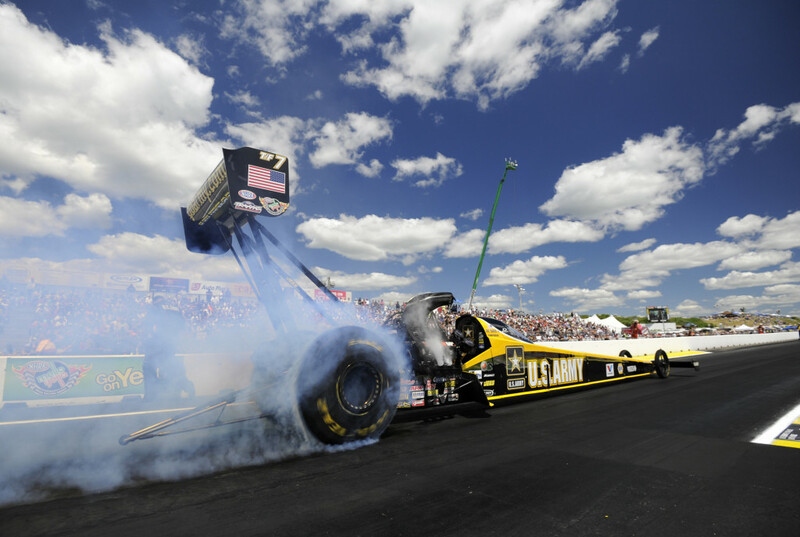 It was only the second time in the 2014 Mello Yello Top Fuel season the U.S. Army team and seven-time world champion driver Tony Schumacher advanced beyond the second round. Schumacher’s triumph over Kalitta on Sunday came on a holeshot as ‘The Sarge’ beat him off the line with a reaction time of .051 to .071. Schumacher beat the Top Fuel points leader across the finish line despite covering the 1,000-foot distance in 3.817 seconds, at a winning speed of 322.85 mph to Kalitta’s slightly quicker, but losing time of 3.813 seconds at 323.89 mph. “You know, we’ve just got a good car and we just keep getting better,” said Schumacher, who beat Steve Torrence in the first round, DSR teammate and fellow U.S. Army driver Antron Brown in the second round, and Clay Millican in the semifinals. Schumacher, who was the No. 8 qualifier this weekend, picked up a position in the Top Fuel standings for the second weekend in a row, moving into the top-five for the first time since April’s NHRA Four-Wide Nationals in Charlotte. Antron Brown remained second behind Doug Kalitta. 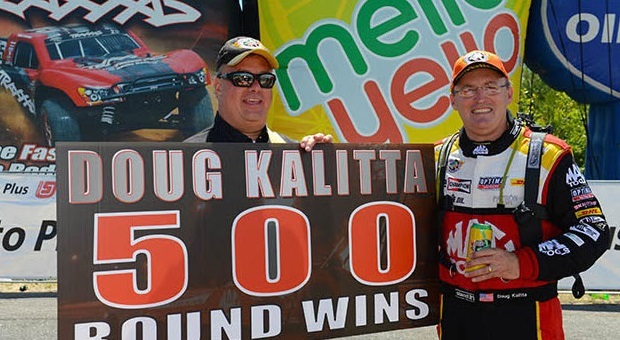 Kalitta joined the elite 500 round wins club on Sunday and now has 502 rounds of record after 380 races and reached his eighth final round in 11 completed events in 2014. 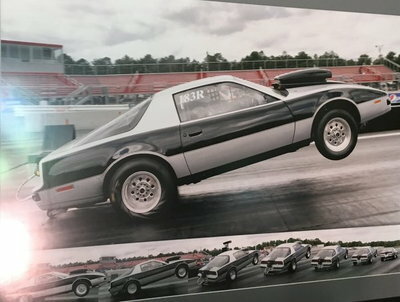 In Pro Stock, Dave Connolly reached his first final since 2012 and made the best of it with his performance of 6.536 seconds at 213.23 mph in his Charter Communications Chevy Camaro to defeat Gray Motorsports teammate Jonathan Gray. It was the 24th win of Connolly’s career and first since Indy’s U.S. Nationals in 2012. Connolly advanced to the final with round wins over Kenny Delco, Vincent Nobile and Greg Anderson. The win also marked a momentous occasion, as it was the product of the very first all-Gray Motorsports Pro Stock final round. Starting from the No. 3 position, Connolly began his speedy forward march to the final round with a first-round victory over Kenny Delco, who broke before the run. Connolly took the single in spectacular fashion, clearing the finish line in 6.513-second at 213.23 mph, a time that stood as the quickest pass of eliminations. In round two, Connolly raced to a head-turning 6.526 seconds, 212.93 mph in his defeat of Vincent Nobile’s 6.562, 213.13. 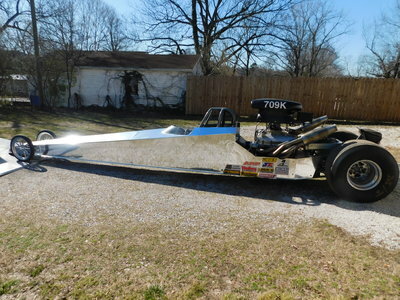 The quarterfinals win paired the surging driver with Greg Anderson in the semis for the first time this season, and Connolly disposed of his challenger handily as he launched first and clocked a 6.517 ET, 213.23 mph to 6.549 seconds, 212.93, mph. Clearly on a tear, Connolly had one more opponent to knock out in order to grab the coveted Wally trophy, and the only man standing in his way was his own Gray Motorsports teammate, rookie of the year contender Jonathan Gray. He knew Gray would be no easy draw; just last week, the newest member of the Gray Motorsports team reached his first final round at Bristol. Connolly was out of the gate first with a .019-second reaction time and cleared the finish line with air to spare, slamming a time of 6.536 seconds at 213.23 mph on the scoreboard to defeat Gray’s 6.577 ET, 213.16 mph. Pro Stock points leader Erica Enders-Stevens and her Elite Motorsports Chevy Camaro team had their race end early following a second round defeat on a hole shot to four-time world champion Greg Anderson. Anderson’s semi-final finish propelled him to now only 26 points out of the Top 10 in the Pro Stock points standings after his heart surgery rejoining the tour in Houston in late April. Angie Smith scored her first Pro Stock Motorcycle victory of her career with a winning run of 6.905 at 191.89 on her Kandy Magazine Buell, defeating husband and teammate Matt Smith, who’s NitroFish Buell slowed as it approached the finish line. It was the first time that a husband and wife met in the final of a professional NHRA Mello Yello Drag Racing Series event. Matt, the reigning Pro Stock Motorcycle world champion, lost in the Epping final for the second season straight, falling to teammate John Hall last year. Screamin’ Eagle Vance & Hines Harley Davidson teammates Eddie Krawiec and Andrew Hines had won three races in a row, but both riders fell to Angie Smith in the quarterfinals round and semifinals, respectively. Hines continues to lead the points in the two-wheel category. 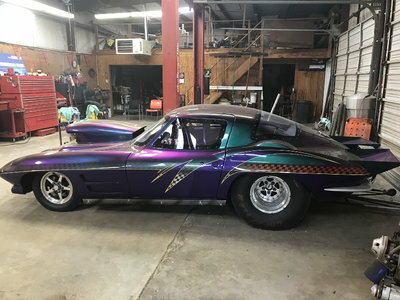 The NHRA Mello Yello Drag Racing Series continues next weekend on June 26-29 at Joliet, Ill. with the O’Reilly Auto Parts Route 66 NHRA Nationals at Route 66 Raceway.